This post is sponsored by Crios Wines, however all text, opinions and photos are 100% my own. Life is busy for everyone, but most especially us mom’s. Maybe it’s even busier for us mom’s who have teenagers that need to be everywhere at once. And toddlers, because I have a couple of those too. In fact, I’m pretty much surrounded by children 24/7 and sometimes I just need a break and to relax. I forget to relax a lot. I bet you do too. So I have come up with 5 super easy ways you can slow down, and simply relax for a bit. 1. Take a Bath. 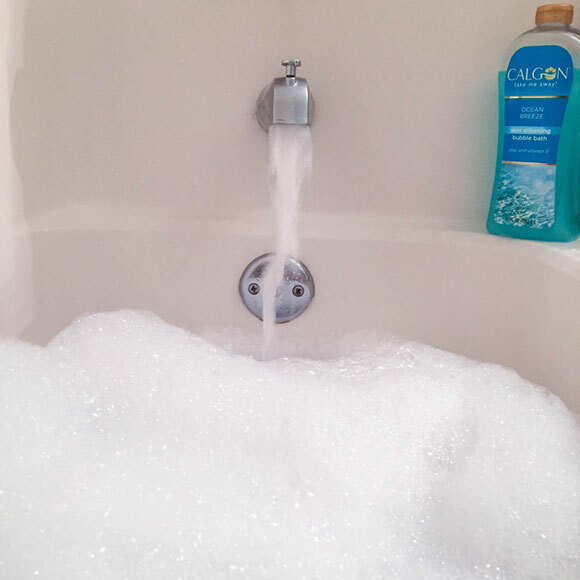 Honestly, just soaking in a relaxing warm tub with some bath salts or bubbles can be enough to slowly start to unwind the stresses of the day. Take a book with you and read, or pop some headphones in and listen to some relaxing music. 2. Turn the lights down, light some candles and play some music. Dim lights can reduce stress and calm the nerves. Scented candles in scents that relax will help to de-stress. And everyone knows music can help a lot. A very therapeutic tool. 3. Do something for YOU. What’s your hobby? Crafting, photography, cooking? Knit some socks or bake some cookies. Just take time to do something you enjoy doing and do it because you want to. 4. Aromatherapy. If you have never tried aromatherapy, or essential oils, you have absolutely no idea what you are missing. They can seriously calm your nerves and relax you and they smell good too! Whether you choose to pamper yourself with a spa style treatment with essential oils or simply to dabble with some actual aromatherapy, you will be relaxed in no time. 5. Enjoy a glass of wine with your significant other or your bestie. Chances are, they could use the time with you too. Can I recommend a wine? 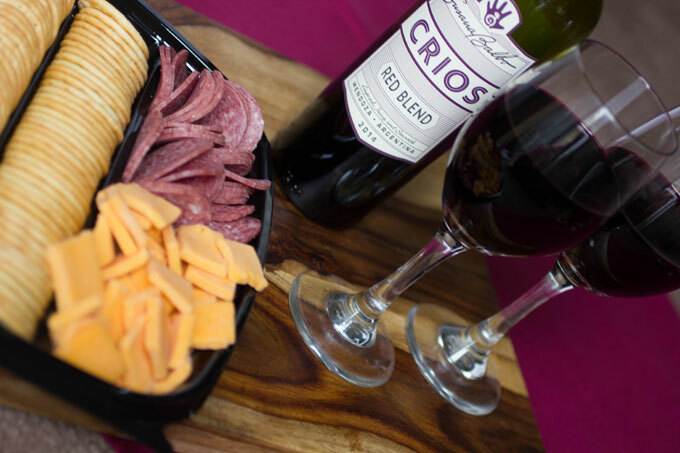 Try Crios Wines. We absolutely loved the Red Blend and it was a wonderful way for Doug and I to unwind after a crazy day. 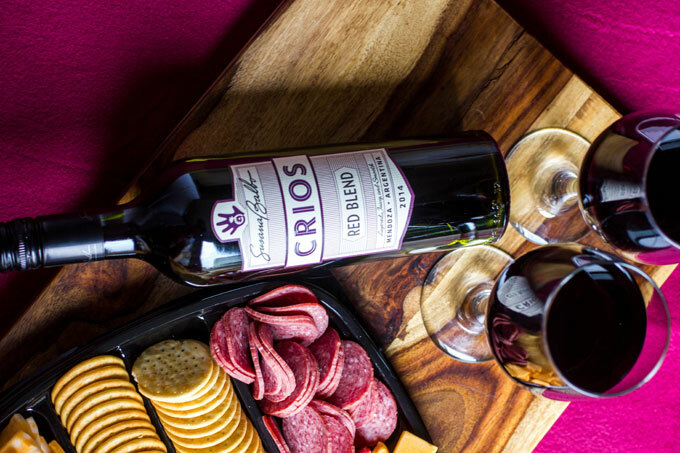 With Crios Wines Red Blend, it’s’ time to explore something new. This inspired blend is full of curiosity and discovery. 40% Bonarda, 40% Malbec, 15% Tannat, and 5% Syrah. It has notes of plum, black pepper spice, and blackberry jam. We enjoyed our wine that night with a wonderful sausage and cheese platter and spent some time “just us” which was wonderful. 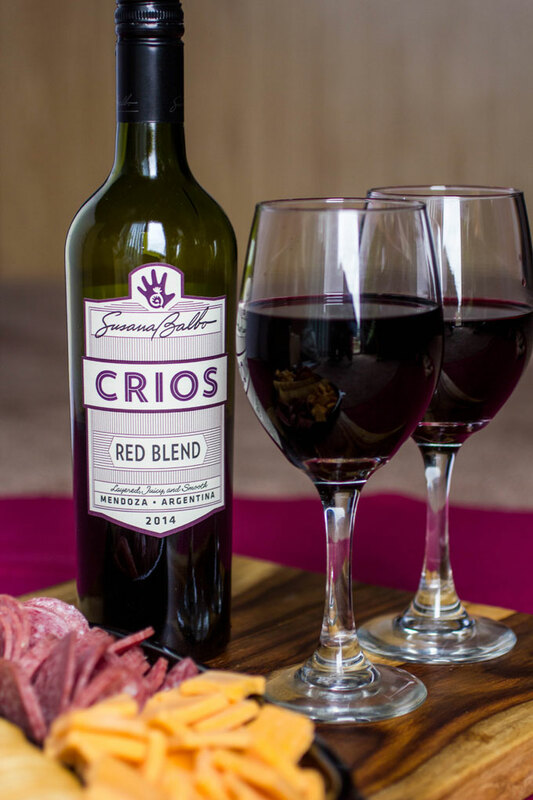 Crios is a family-owned brand by Susana Balbo, Argentina’s leading and most innovative winemaker. Crios in Spanish means “offspring” and was created by Susana as a tribute to her son, José, and daughter, Ana. Nowadays, Susana’s children have joined the family business and add their young-adult point of view to the wines that are dedicated to their family bond.